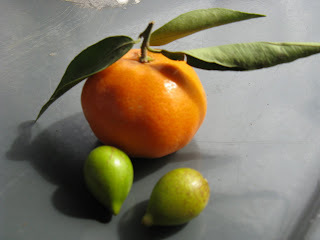 Photos: Goats in the argan trees; argan nuts, with the fabulous Moroccan tangerines! So, we've been through the Middle Atlas and the High Atlas, and today we got the Anti-Atlas. Creative with the names, no? We left Zagora – thankfully not on camel – and headed back west, stopping for some photo ops along the way. The first hour is fairly flat, driving along the palm oases, and then it gets more hilly as we get into the Anti Atlas. Very pretty, fairly uneventful drive. We were supposed to stop at a weaving cooperative, but for some reason, they will not see us, and we're all a bit unsure as to why, so we continue down the road, looking for a place for lunch. We find a small restaurant in the middle of saffron country, and they are also of course happy to sell the saffron. The guy says “it's the real thing, the best quality,” and I tend to believe him. 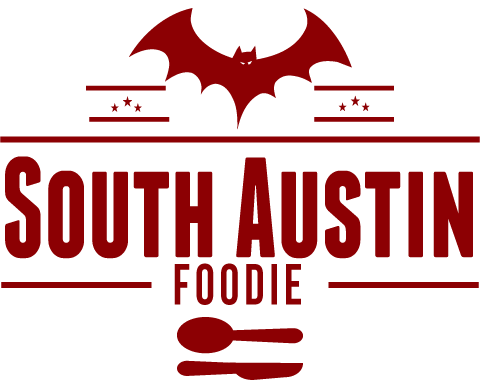 Outstanding price on a large quantity of the stuff, and they made a good lunch too – meatballs with a light tomato & saffron sauce. As we head further west towards our destination of Taroudant, we come into the region were the argan trees grow. The oil from argan nuts has been used for centuries in Morocco for both cosmetic and culinary purposes. Some is exported to Europe, while the US seems to be still just learning about it. For culinary uses, it has a nice light smell, not unlike toasted sesame oil. While I haven't yet tried it (I did smell it) yet, apparently it makes for wonderful salad dressing. What also makes argan unusual is its method of preparation. The nuts are eaten by goats, who climb up in the trees for them, and their digestive systems breakdown an outer coat on the nut, which are then collected from their dung, and pressed for the oil. That's right. We're eating nuts that have passed through the goat. 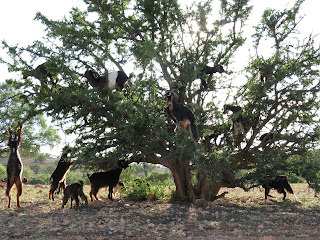 Anyway, it was really quite a sight to see the goats IN the trees! The remainder of the drive was through a rich agricultural valley that reminded me of the Mesilla Valley in the Las Cruces area. Argan & olive trees, banana trees in green houses, melons, winter squash, tons of citrus, and other things that we couldn't really identify from the bus. Very pretty region though. So into Taroudant, which is a city that is mostly behind the thick walls of the ancient kasbah. One section of the wall serves as the backdrop for our hotel, the Palais Salam, which is an old palace that has been converted; there are tons of little courtyards, pools on two levels, very quaint. 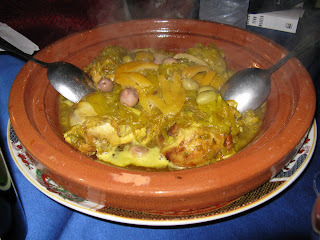 Dinner was at their restaurant, soup and a fairly good chicken tagine with onions and preserved lemons.